Last week I shared a sporty version of the Retro Rucksack, with flat piping highlighting the chevron piece at the bottom of the bag. 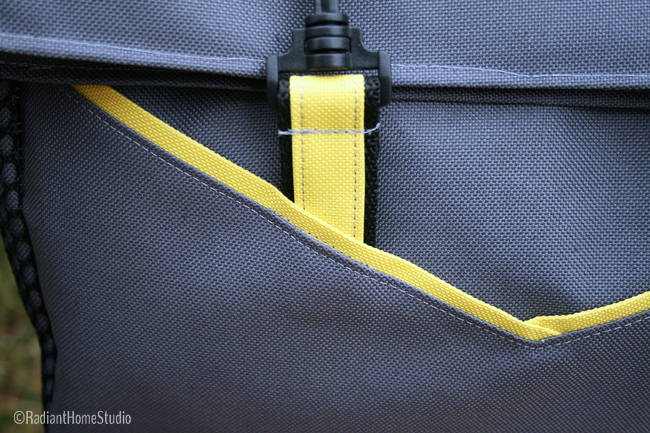 Today I’m going to walk you through how to sew flat piping onto the rucksack, or any inside corner seam. 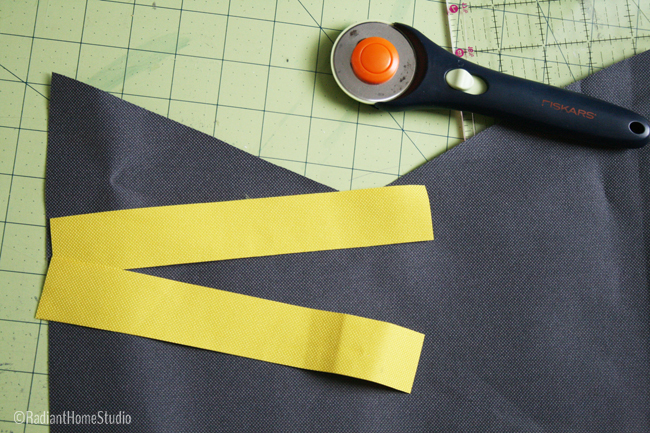 For the Retro Rucksack, you’ll need 4 strips of fabric measuring 1 1/4 in. by 8 in. Fold each strip in half, wrong sides together, and press. On the chevron piece (or the inside corner, if you are making something else), mark your pivot point where the seam allowances meet. On this piece, my seam allowances are 1/4 in. I used chalk to make a dot where the seams will cross. 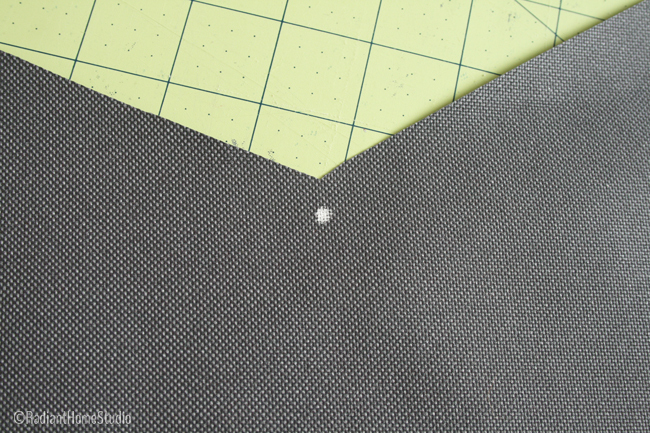 Snip the fabric from the inside corner in toward the dot, but not quite all the way to it. Line up one strip of fabric on the chevron piece, right sides together, matching raw edges. 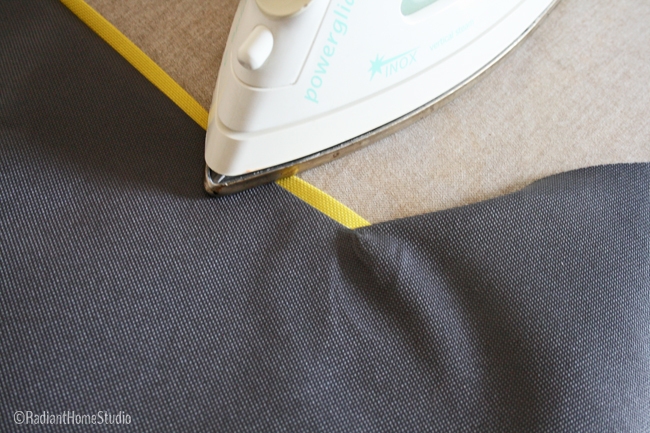 Make sure the strip crosses over the pivot point that you’ve marked. Using a 1/4 in. seam allowance, stitch the strip to the chevron piece, stopping at the pivot point. Fold the raw edges to the back and press. This is the tricky part. Line up the second strip, right sides together, raw edges matching. 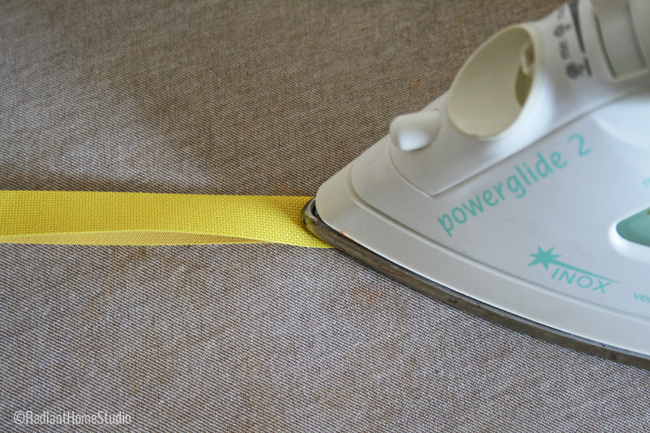 Roll the raw edge back so that the second strip crosses the pivot point. 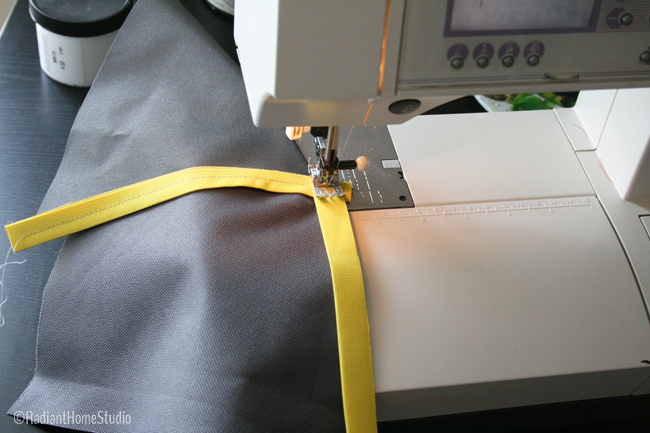 Pinch at the pivot point and fold the stitched side so that it is not tugging. 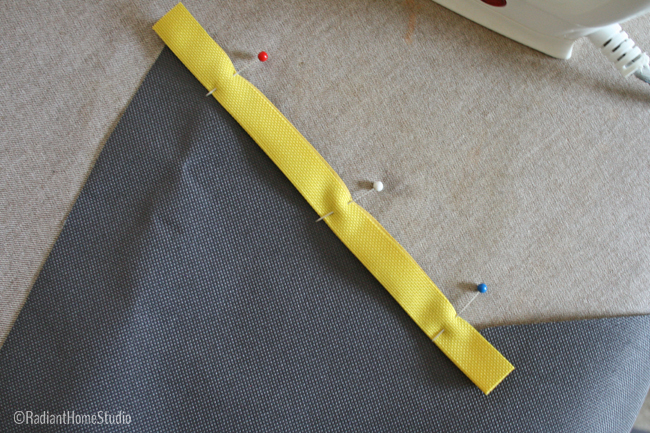 Start stitching at the pivot point along the second strip. Fold back and press the second side. Repeat for the other end of the chevron. 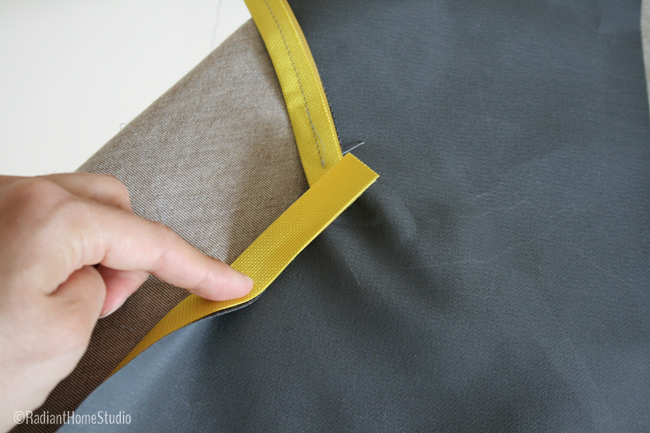 Follow the directions for assembly, topstitching along the main piece to attach it to the body of the bag. My kids think I can sew everything too 🙂 I bet you would do a great job though, and I’m sure they would be proud to share your handmade gifts with their friends! 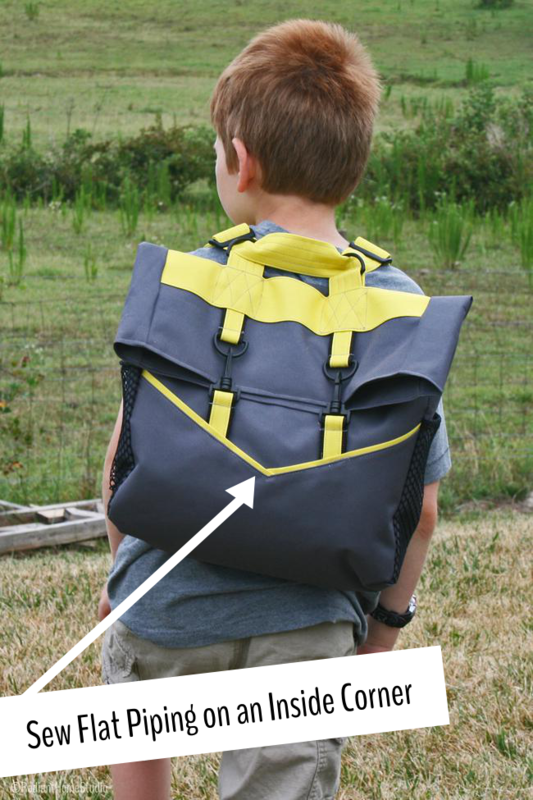 I like to make this backpack but there’s no material list or the size and width of fabric to use to make this project. I really love this backpack. Hi Velma, The pattern is available for purchase in my shop. The fabric and materials list are included in the pattern.